Looking down Chuch Street from the junction with Oulton Lane. The houses on the right stood on what is now Woodlesford Green. Woodlesford was connected, in the mid 1880s, to a 7 inch water main from Leeds Corporation, running from Thwaite Gate via Oulton. But because the centre of Woodlesford was on higher ground the supply was poor and villagers could only rely on it at night when they used it to fill up buckets and tanks. It was later improved by the building of a reservoir at John O’ Gaunt’s at the end of the decade. The public gas lamps in the village were supplied by gas from Bentley’s brewery from 1888, at an initial cost of £210 per year. Kathleen Mcgregor’s maiden name was Smith-Taylor. Her father was a manager at Henry Berry’s engineering works in Hunslet. She was born in 1936 in a house called Hazeldene on Holmsley Lane and became a stalwart of the Woodlesford church community, teaching younger children at Sunday School and acting as a leader in the Girls Friendly Society. As a child Kathleen was taken for treats by her older sister on the train into Leeds. 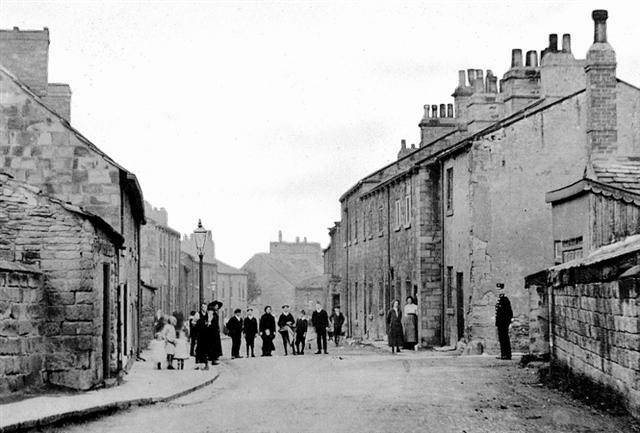 They would walk to Woodlesford station along Holmsley Lane and down Church Street passing many stone cottages and shops on both sides of the road which have now been demolished. A major attraction was the Fry’s penny chocolate machine in the station booking hall. Later she remembers going on the annual Sunday school and Girls Friendly Society excursions by train to the coast at Bridlington and Scarborough. 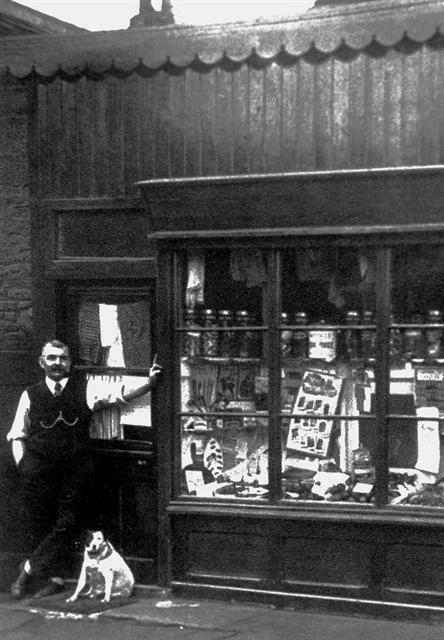 The wooden shop which once stood at the top of Oulton Lane.